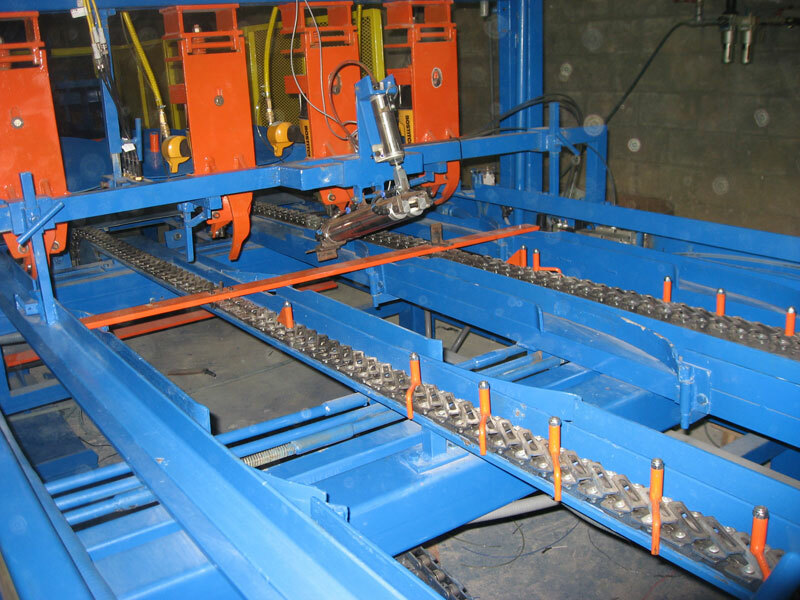 The Eagle Pallet Nailing System is designed specifically for high volume production reaching out-put goals of 1600 pallets per day. 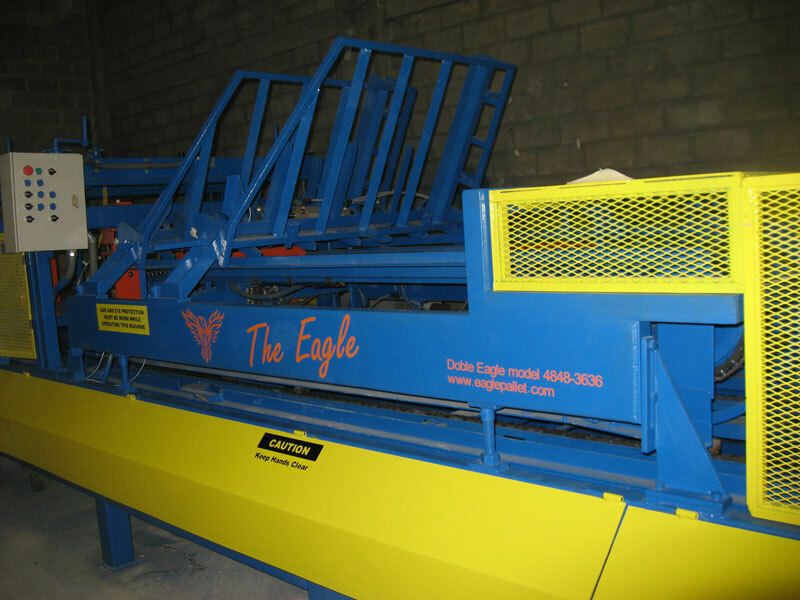 With simple adjustments the Eagle System can accommodate 3 to 4 stringer pallets that range from 36″ x36″ to 48″ x 48″ in size. The 4th stinger package is an additional purchase option. 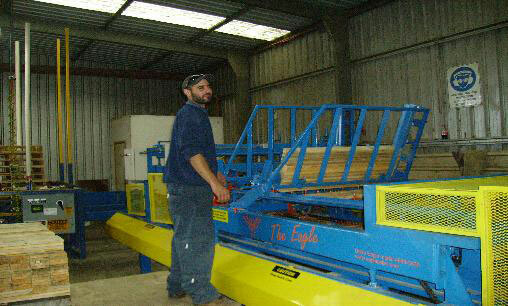 With 17 years in the making, the Eagle Pallet Nailing System was designed for simplicity, durability and high volume. This gives you a lower up-front investment while maintaining your competitive edge. 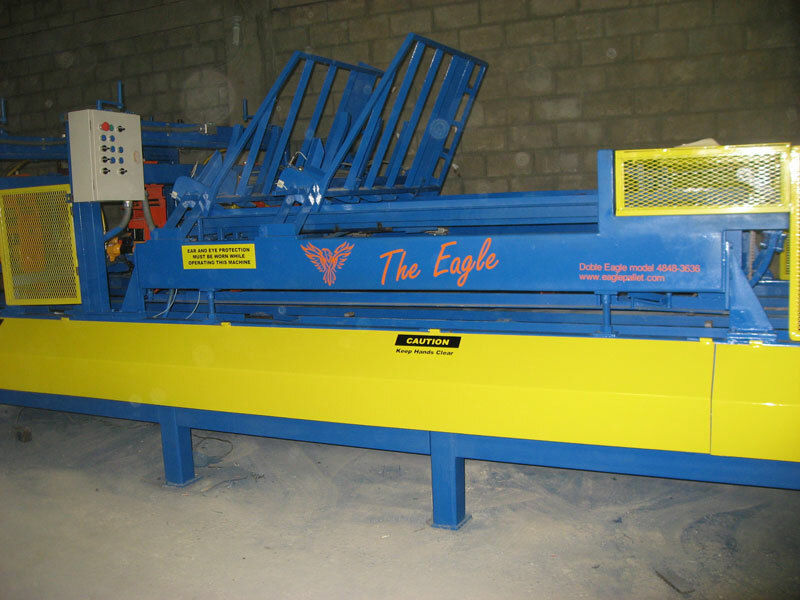 The Eagle Assembly System is specially designed with its continual feed jig assembly conveyor allowing the nailing process to be continuous. This non-stop two part action conveys the pallet materials under each nailing station giving high production rates of 4 to 6 pallet per minute or more. 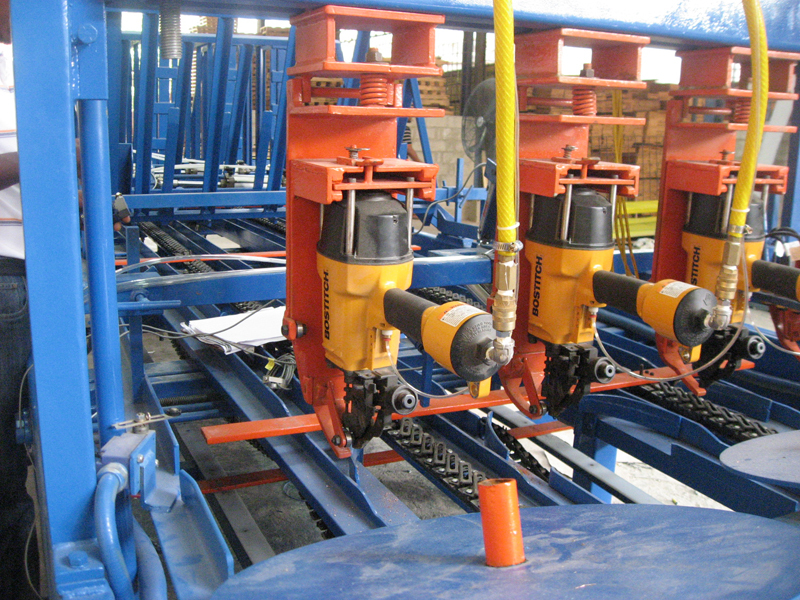 Variable speed controls allow the operators to set the daily production rate. 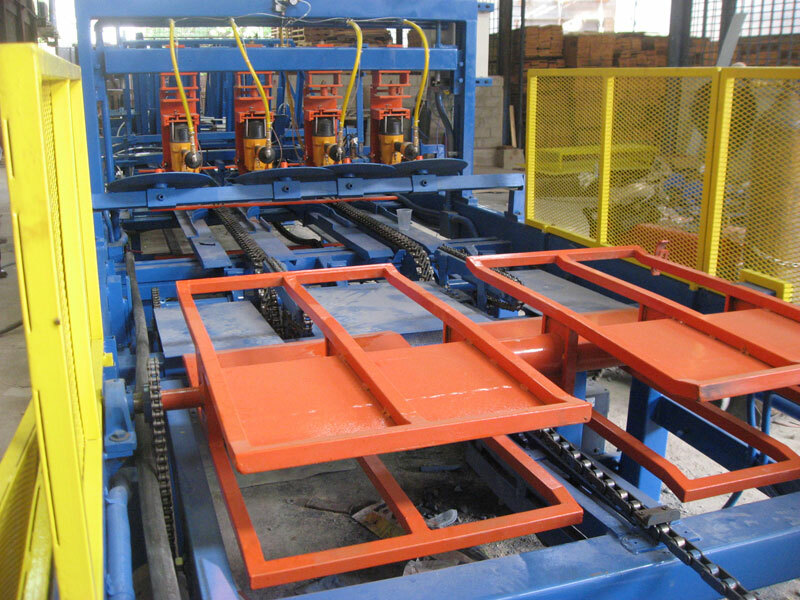 Included with the machine are several automatic feeders where decking and stringer board material can be placed so that the jig assembly can retrieve pallet material in its automated nailing process. If the dimensions of the cut stock are inconsistent the deck boards can be loaded manually, as well. 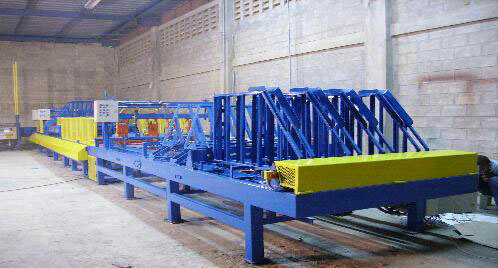 Three operators are required to run the machine to supply lumber to each station. 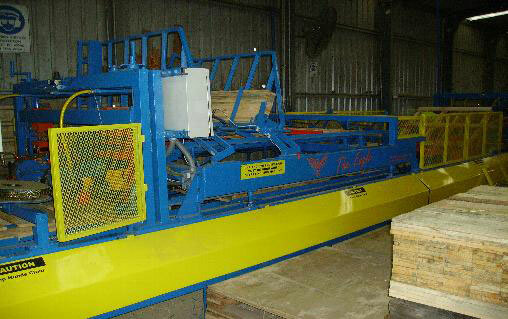 For quality and high volume production grade #1 and #2 type lumber is recommend. Recycled lumber can be used if material grade is consistent for pallet grade quality, however production rates could change. 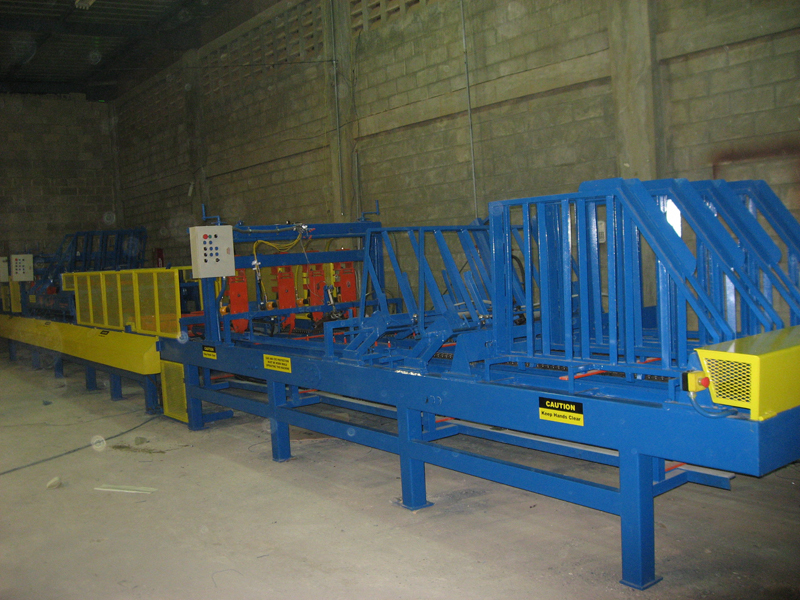 The Eagle Pallet Nailing System comes standard with an automated pallet stacker and right or left angle transfer system. Straight line systems can be available upon request. 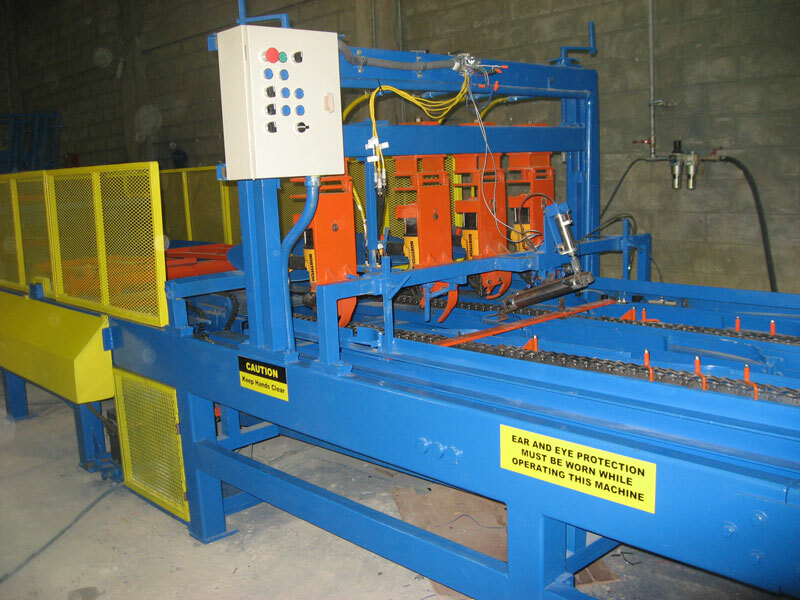 BC Market Solutions™ has complementary videos of The Eagle Pallet Nailing Machine™ in full pallet production. 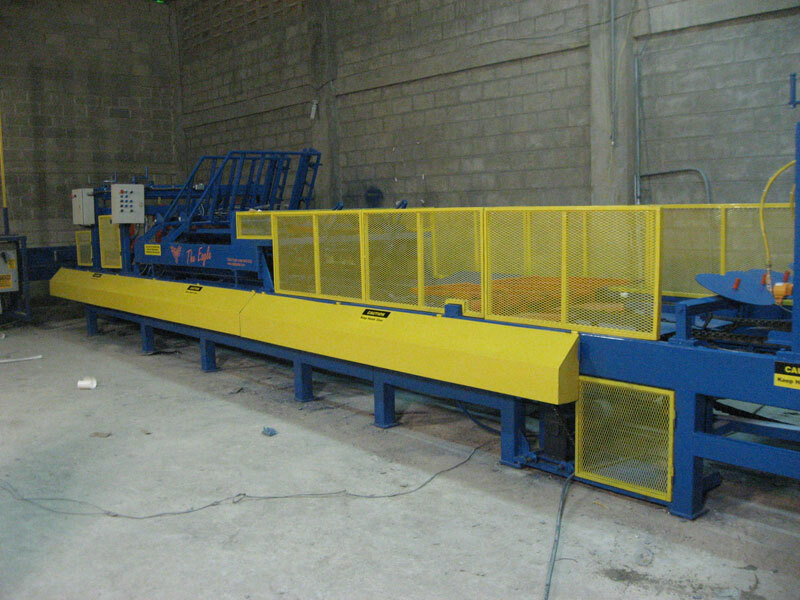 This specification is for the production of 3 stringer pallets ranging from 36 inches (91.44cm) up to 48 inches (121.92 cm) with a pallet height up to 5-1/2 inches (15.24 cm). Pallet nail recommendation is 2” x.099”, high load for standard pallet production.